Lately I’ve been touting the blessings of spring, but deep down, my heart belongs to winter. 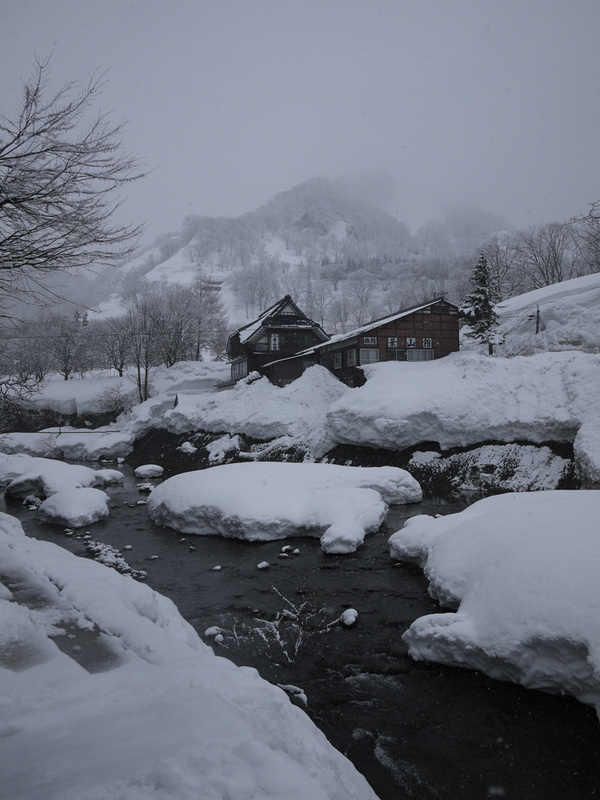 A few weeks ago Dan and I took a weekend trip to Hijiori Onsen, a tiny town in the mountains in northwest Japan. 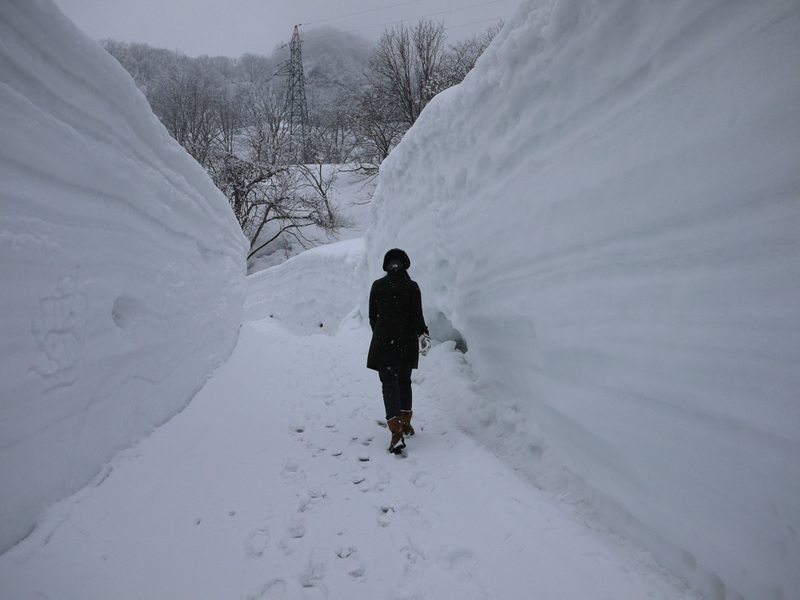 We took the Shinkansen to the last stop, then a bus for an hour, and we found snow. A lot of it. The morning greeted us with fresh snowfall, so we took stroll through town. It was quiet except for the sound of the river. 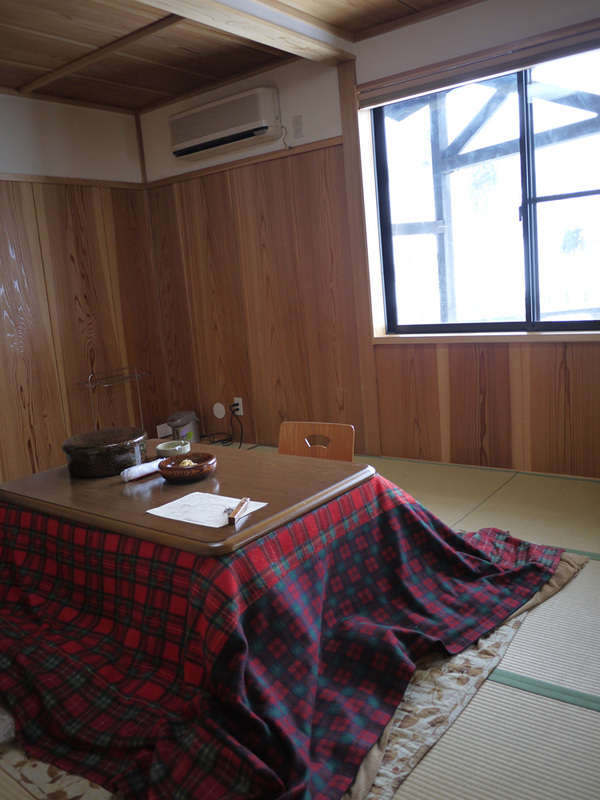 I was happy to spend the afternoon at our ryokan, tucked under the kotatsu. Through the window I watched the snow fall and tried to study Japanese, alternating sips of beer and green tea. 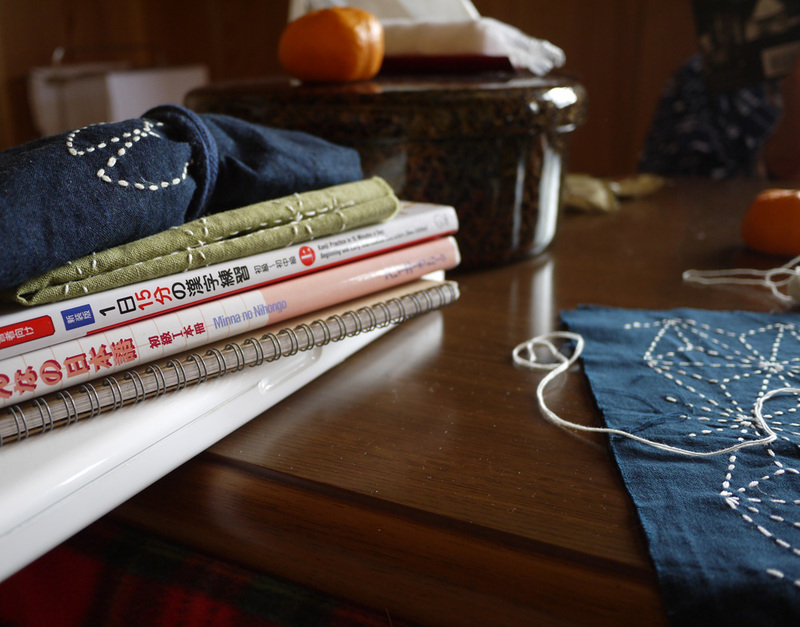 When I needed a break from kanji, I stitched. Occasionally we raced to the window to glimpse a pair of hawks fishing in the river outside. 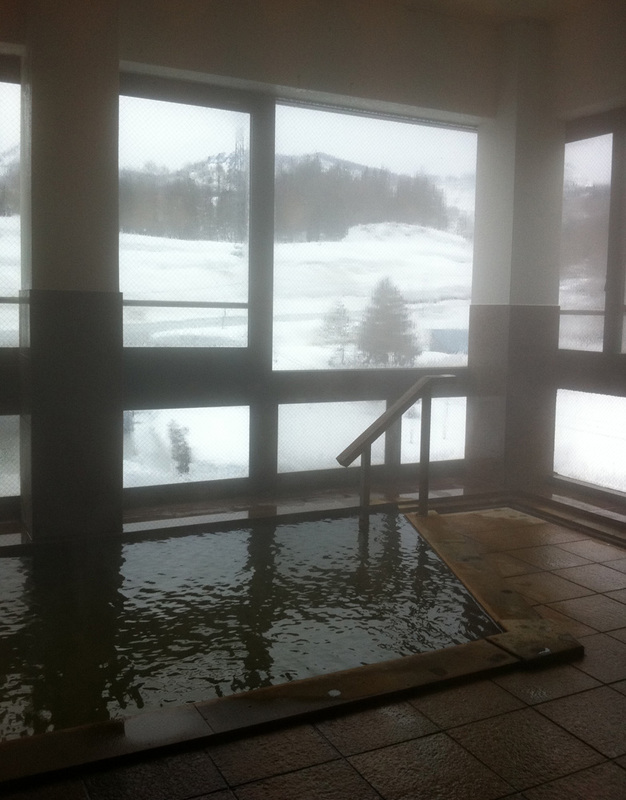 Hijiori Onsen is a hot spring resort town, and our ryokan had 3 different baths. Our first afternoon, I had this one to myself. The next morning I sat in a copper tub with the windows open and let snowflakes flutter in. We stayed two nights, and both dinners were absolute feasts. Regional specialties included beef yakiniku, duck nabe (soup), mountain vegetables, and really good rice. We cooked our beef and duck nabe over a table with coals set inside. 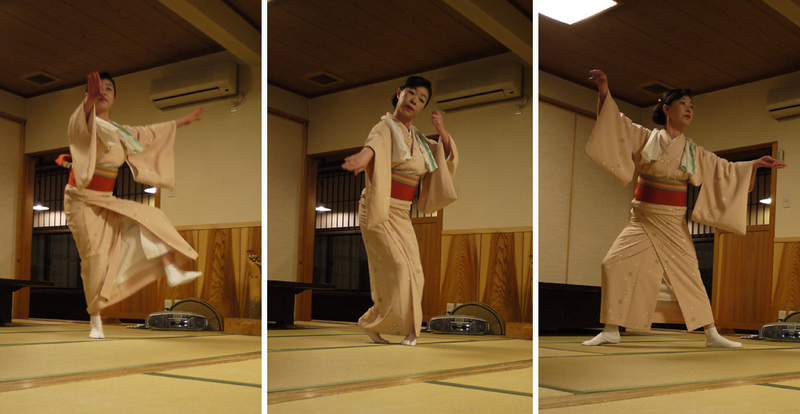 On Friday night, dinner ended with a dance. More photos of our two days of kaiseki can be found here on Flickr. 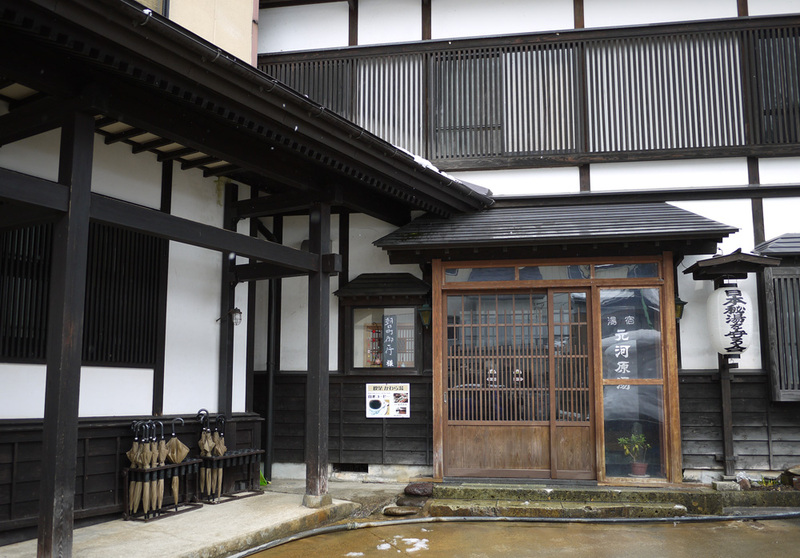 The owners at Yuyado-Motokawarayu ryokan were extremely welcoming. If you get a chance, stop by and say hello. 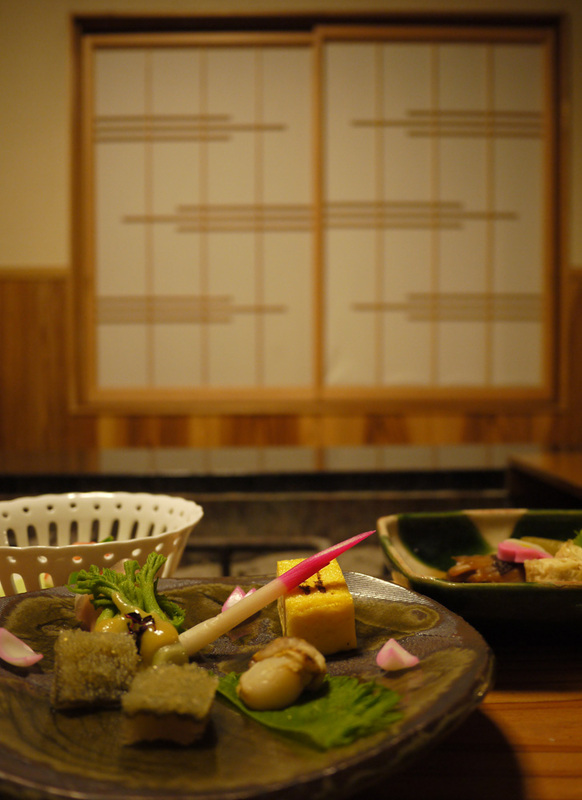 This entry was posted in Trips and tagged hot springs, Japan, kaiseki, kotatsu, onsen, snow, Yamagata prefecture. Bookmark the permalink. ← Spring Sashiko Giveaway — We have a winner! Looks amazing. A hidden gem. Stunning – what a lovely trip. I’m with you in spirit, sistah! So wish I was there in body as well. We had no winter this year. Sigh. Now this is what I picture when I picture visiting Japan.